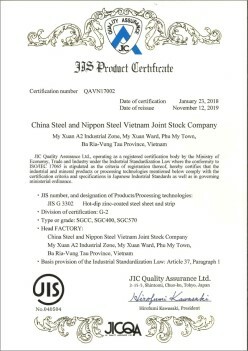 JIS/JFS standard of P/O products, grade from commercial quality to deep drawing quality, which can be used in various applications, mainly focus on their deforming properties. 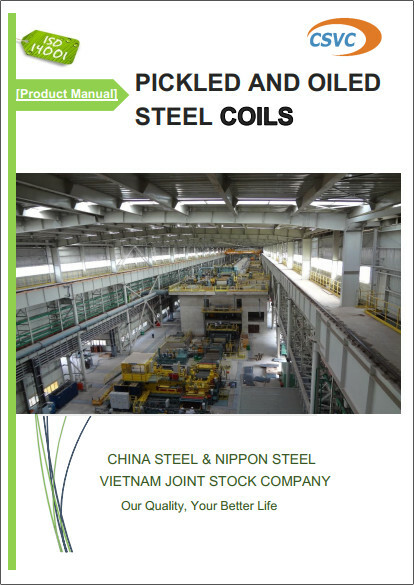 P/O steel coils used for general structure with minimum tensile strength from 330 to 620 N/mm2, which are widely used in various structures or other strength-required parts. JIS SAPH 310~440 products are specially designed for automobile structural use, tensile strength from 310 to 440 N/mm2, which can be used in automobile structural applications. 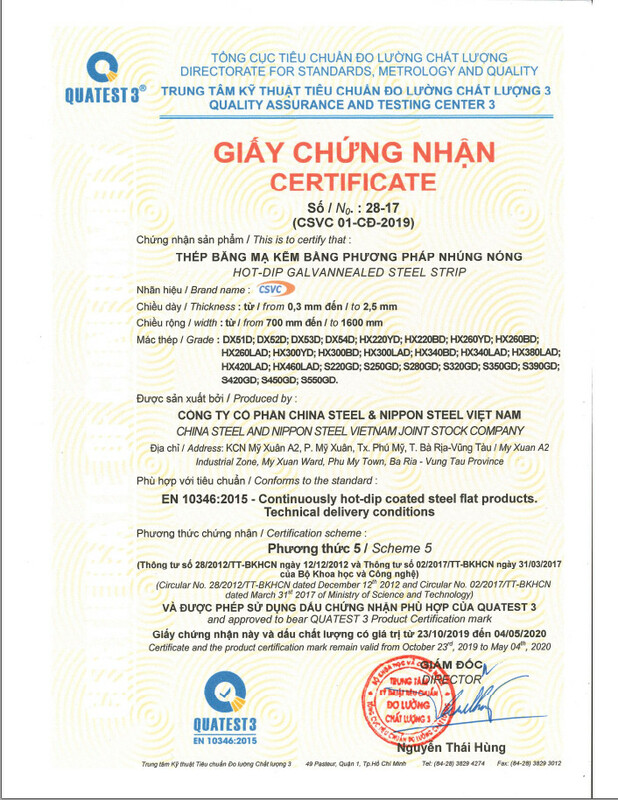 High strength low-alloy P/O steel coils mainly applicable to structural use such as sections and stiffening plates. 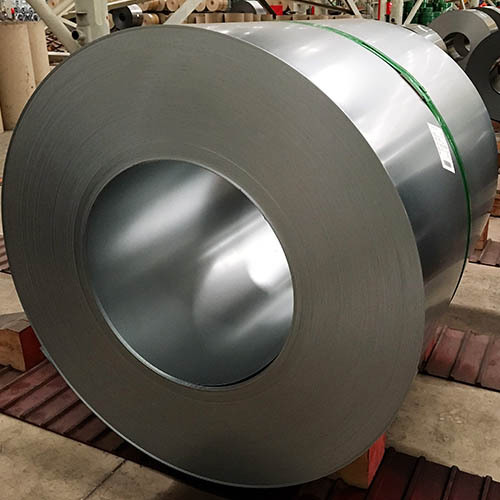 P/O steel coils with high strength, excellent stretchability, which are widely used in automobile structural reinforce members to reduce vehicle. 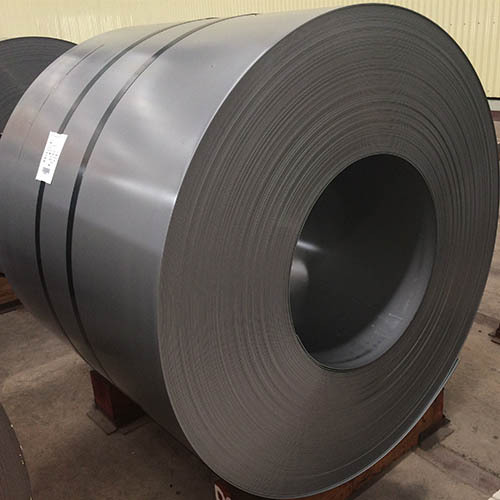 P/O steel coils high yield strength from the range 315 to 500 N/mm2, mainly applicable to cold forming used and yield strength-required parts. JIS/ JFS standard of cold-rolled products, grade from commercial quality to deep drawing quality, which can be used in various applications, mainly focus on their deforming properties. 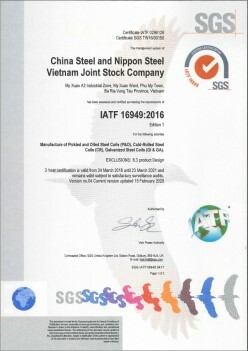 JIS/ JFS standard of cold-rolled ultra-deep drawing products, which have non-aging properties and high average plastic train ratio. 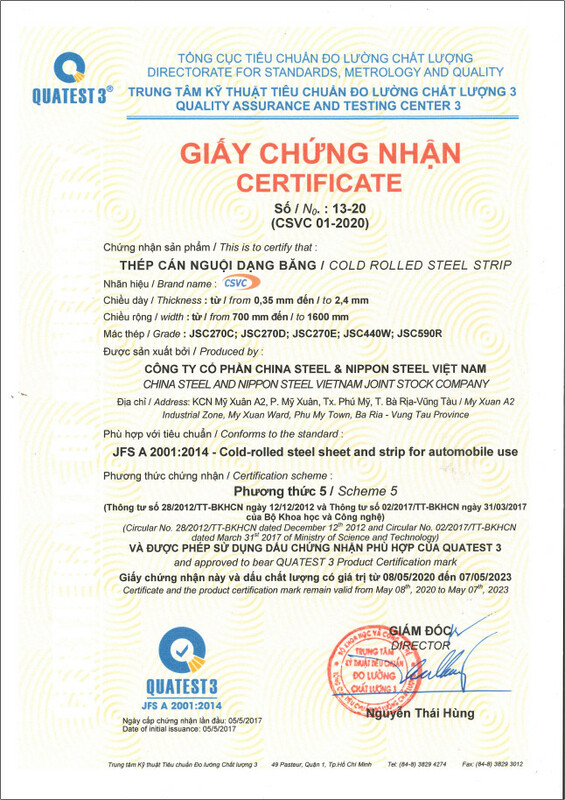 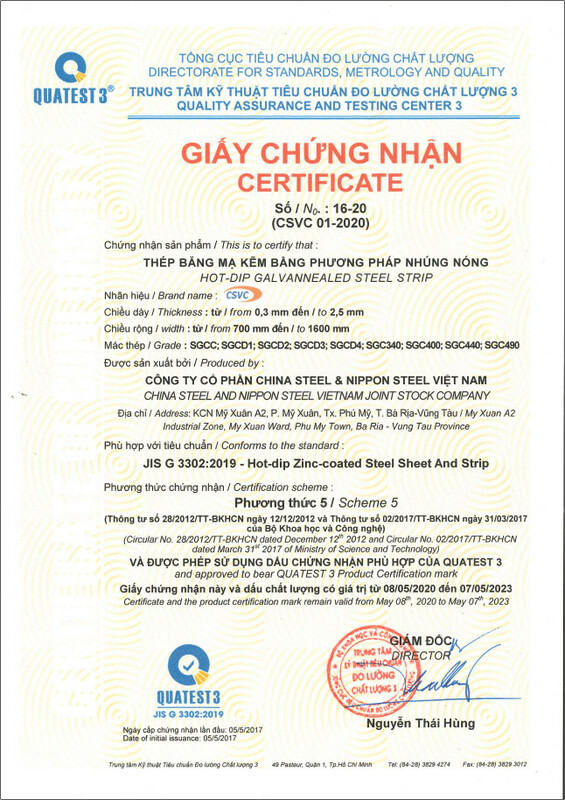 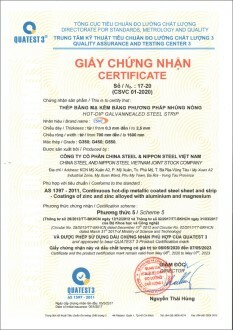 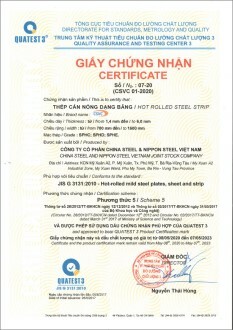 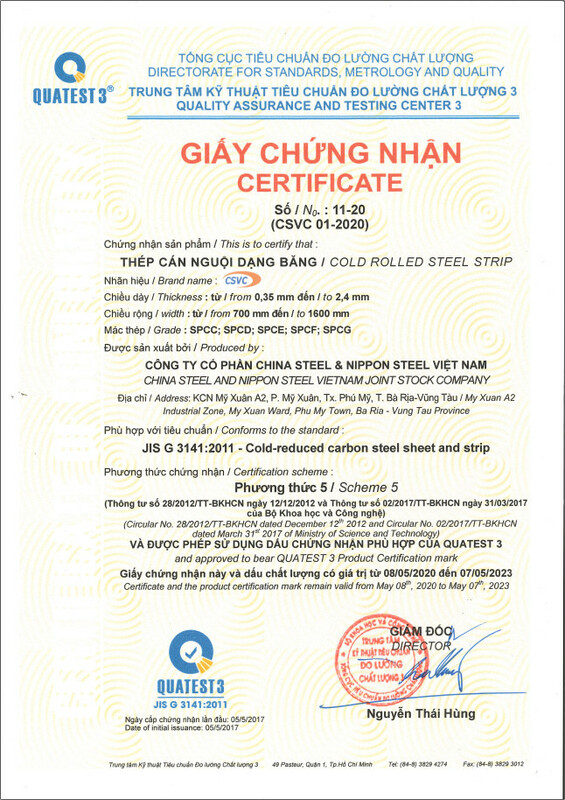 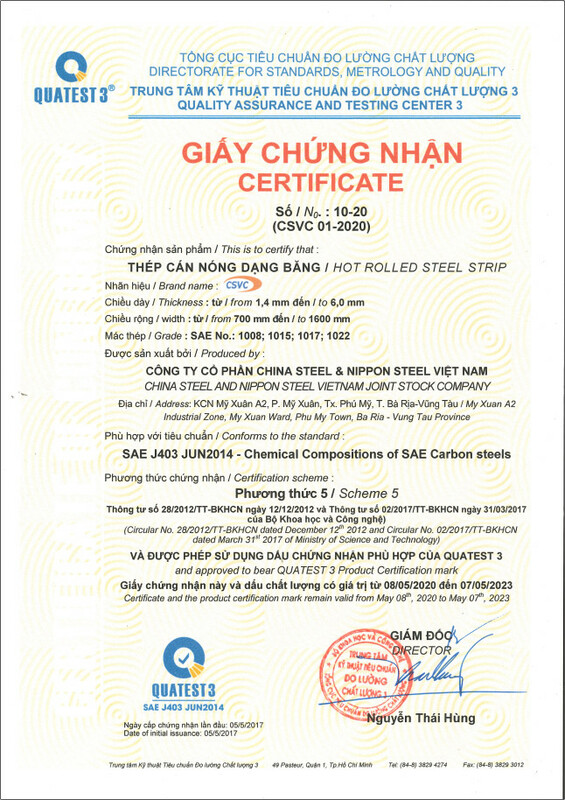 Decarburized Steel Sheet and strip for Porcelain Enameling. 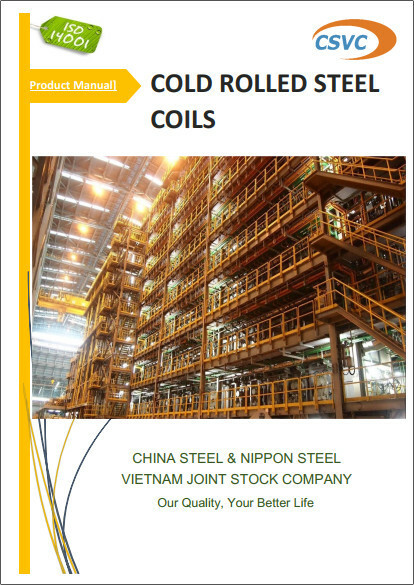 High strength dual-phase CR steel coils for automobile structures with excellent drawability, such kind of steel has low yield ratio and high elongation properties, which are good deforming in automobile body structures and reinforcement parts. EN standard of cold-rolled products, grade from commercial quality to deep drawing quality which can be used in various applications, mainly focus on their deforming properties. 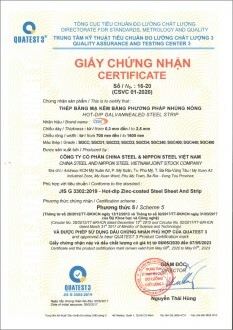 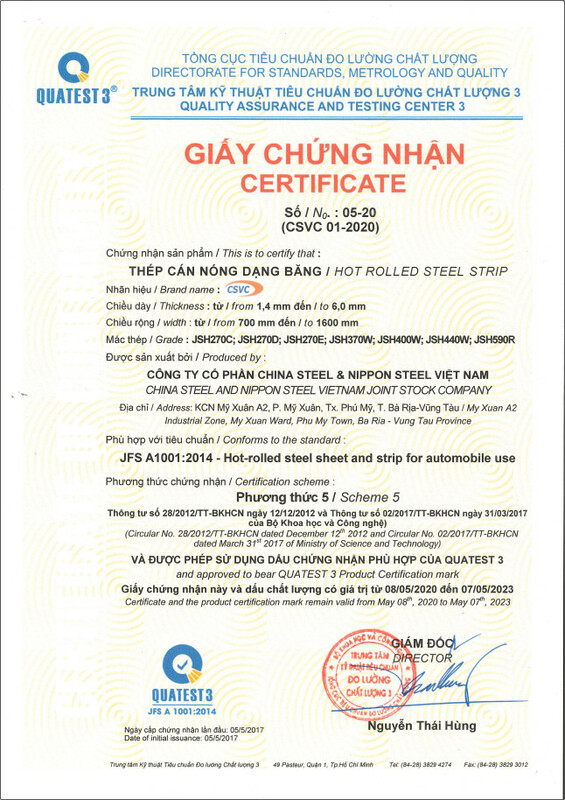 High strength steel containing one or more alloys Nb, Ti and V, yield strength (YS) from 260 to 420 N/mm2, which are widely used in automobile structures or other required strength parts. ASTM standard of cold-rolled products, grade from commercial quality to deep drawing quality, which can be used in various applications mainly focus on their deforming properties. 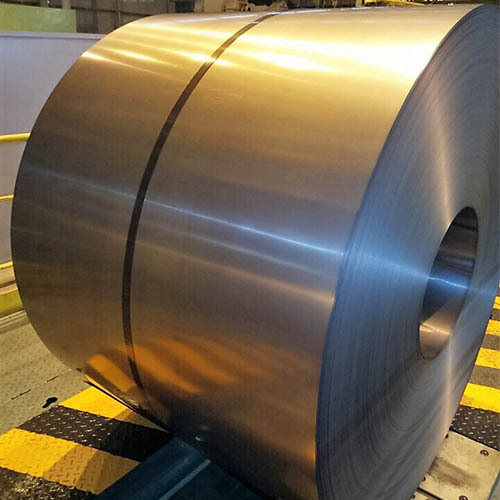 High strength low-alloy CR steel coils for automobiles with high strength, high formability, which are widely used in automobile structures such as bumpers. ISO standard of cold-rolled products, grade from commercial quality to deep drawing quality, which can be used on various applications, mainly focus on their deforming properties. 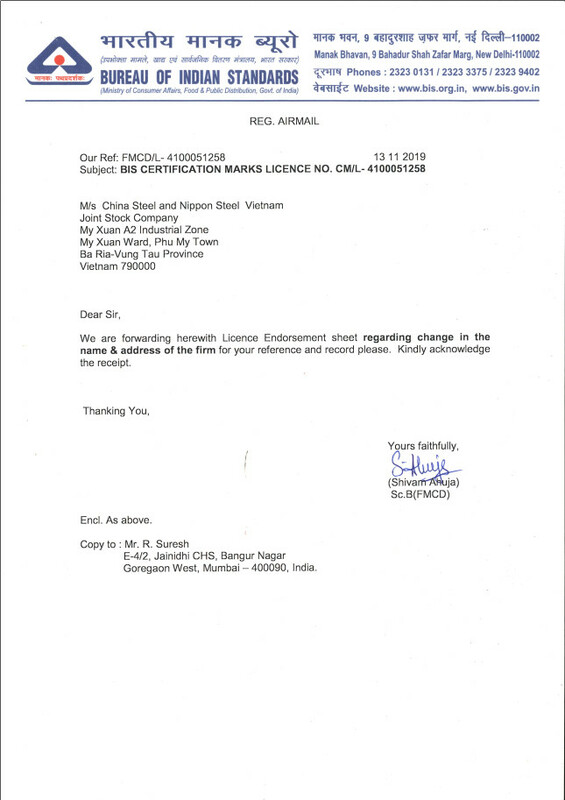 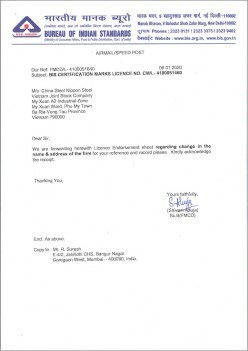 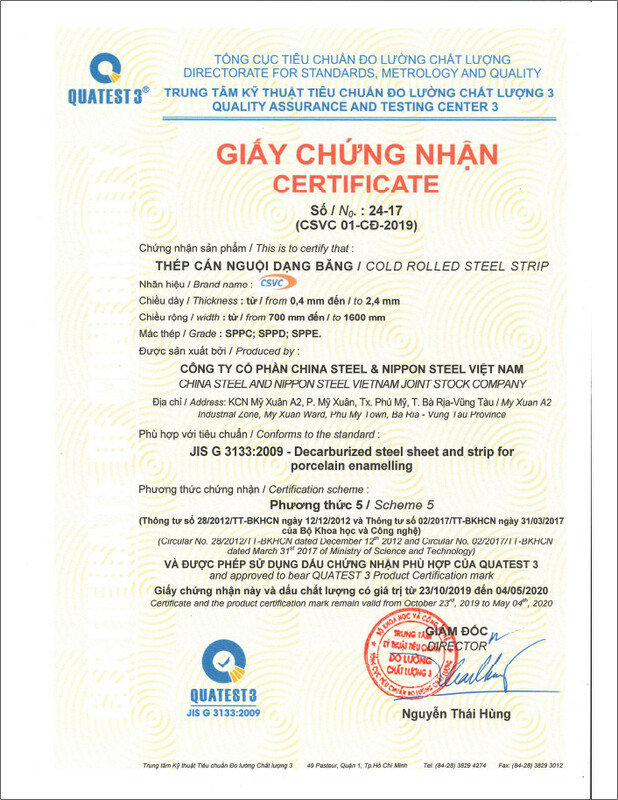 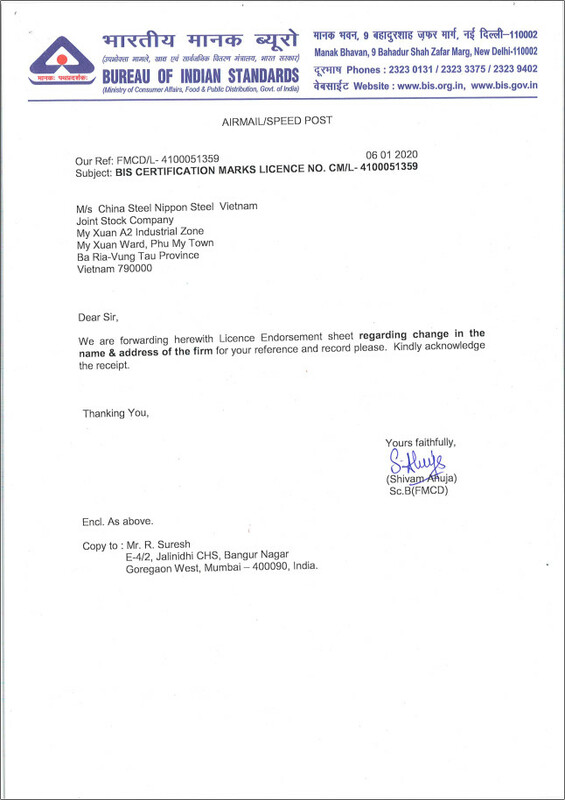 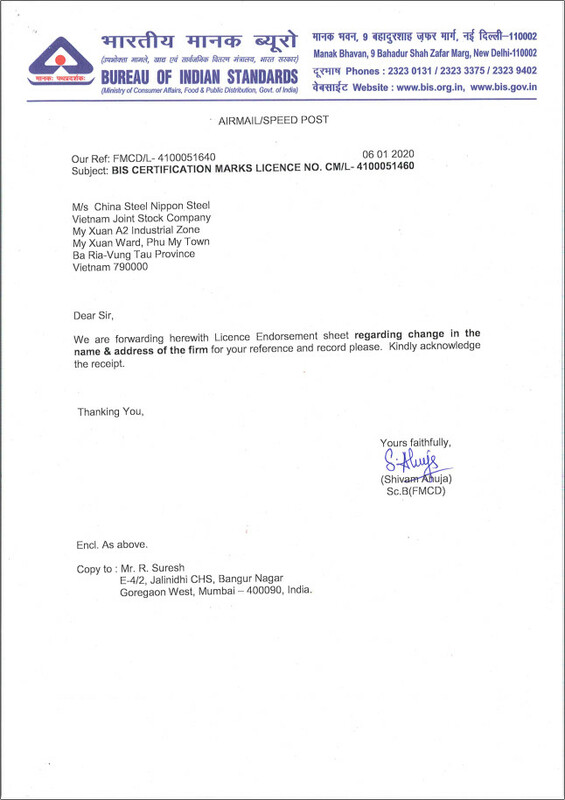 Cold rolled full hard steel sheet in coil products are followed CSVC-standard which are sold as cold rolled condition (ASCR), not annealing. 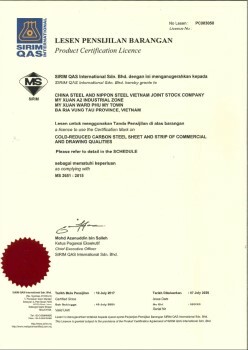 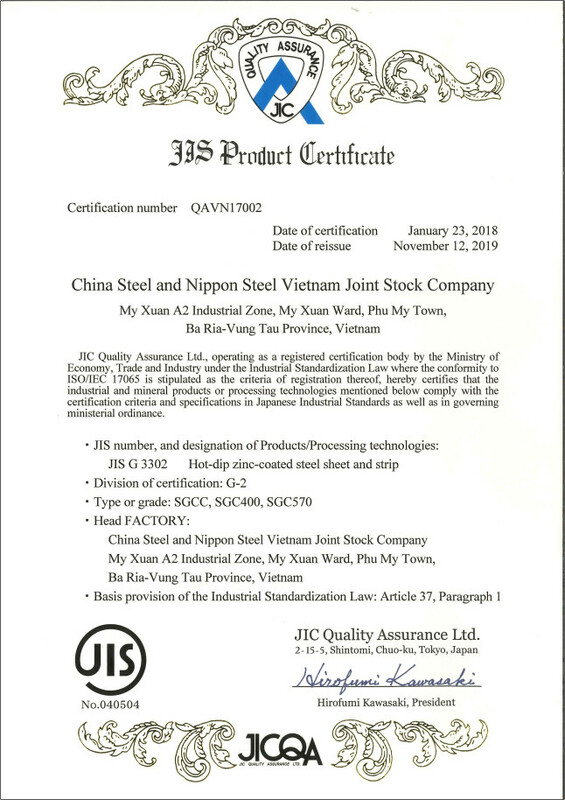 JIS/JFS standard of hot-dip galvanized products, grade from commercial quality to deep drawing quality, which can be used in various applications, mainly focus on their deforming properties. 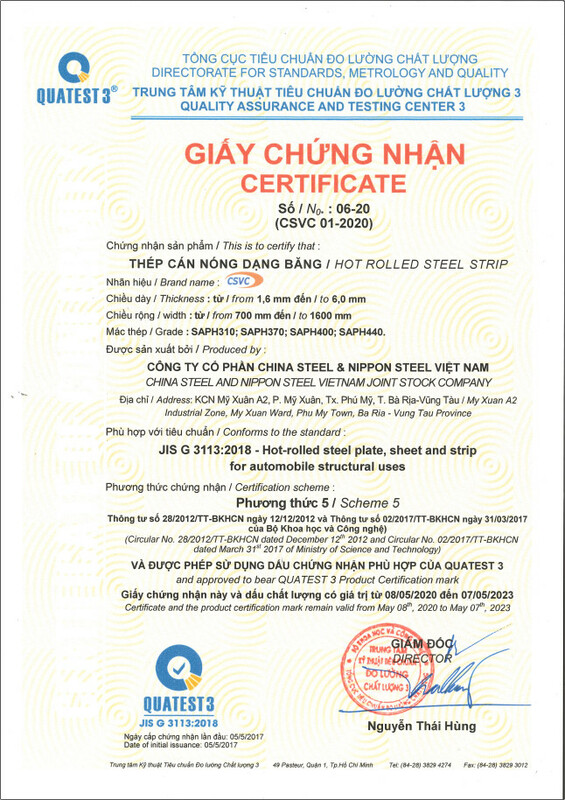 JIS/JFS standard of high strength ho-dip galvanized steel, tensile strength (TS) from 340 to 570 N/mm2, which are widely used in automobile structures or other high strength-required parts. 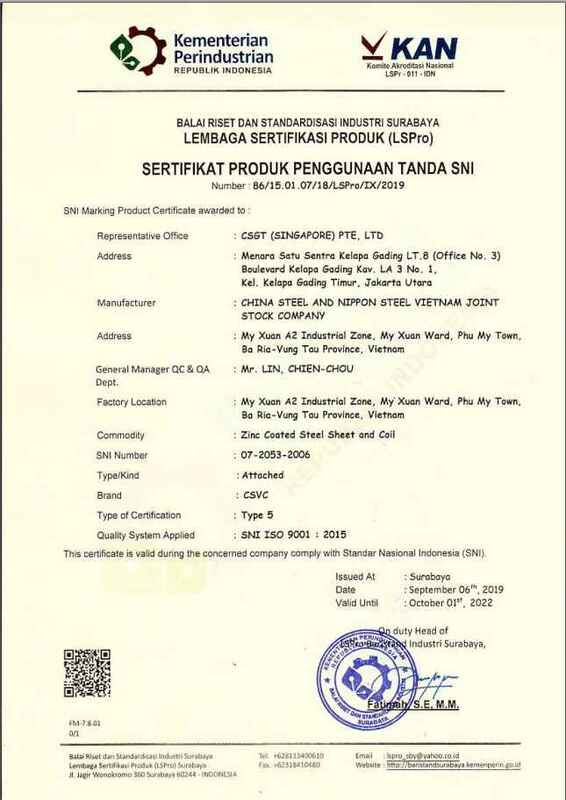 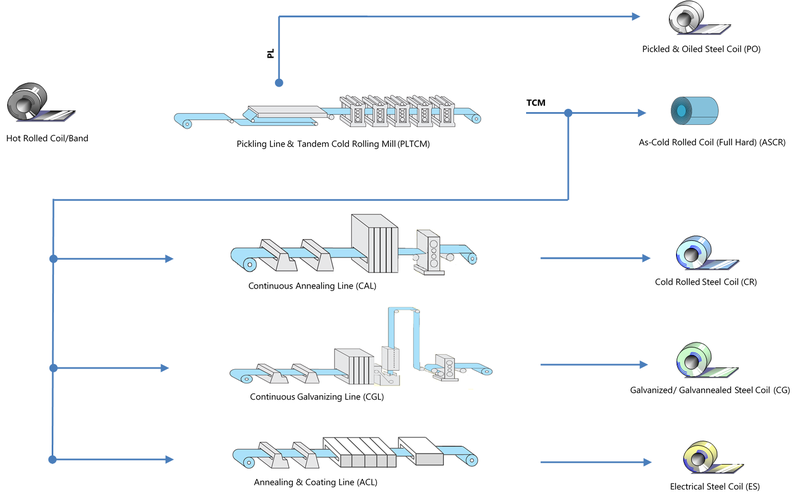 ASTM standard of hot-dip galvanized products, grade from commercial quality to deep drawing quality, which can be widely used in various applications, mainly focus on their deforming properties. 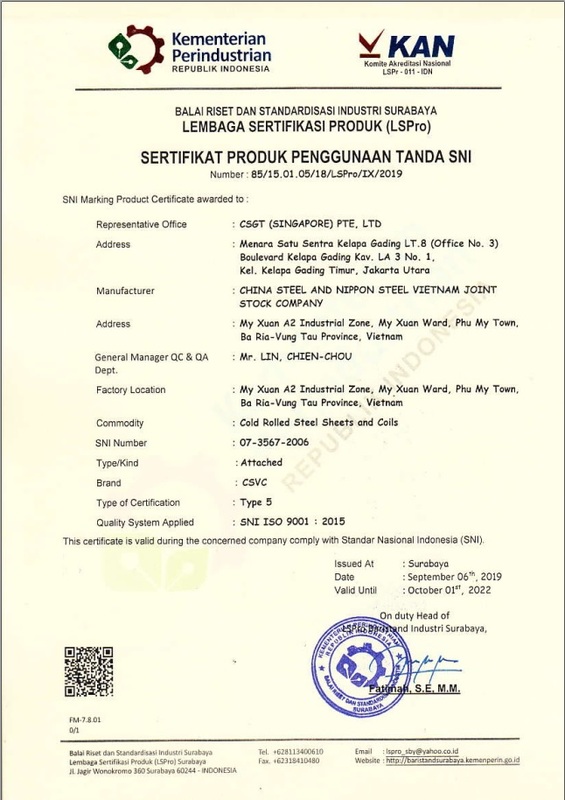 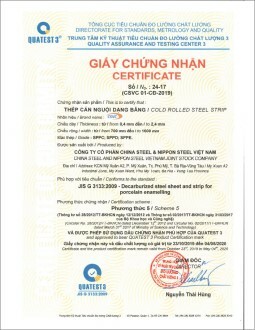 EN standard of hot-dip galvanized products, grade from commercial quality to deep drawing quality, which can be widely used in various applications, mainly focus on their deforming properties. 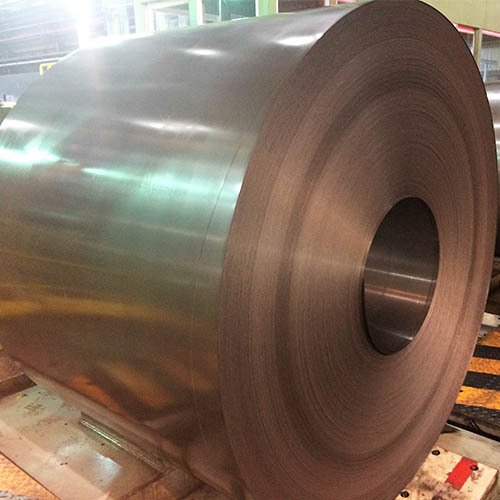 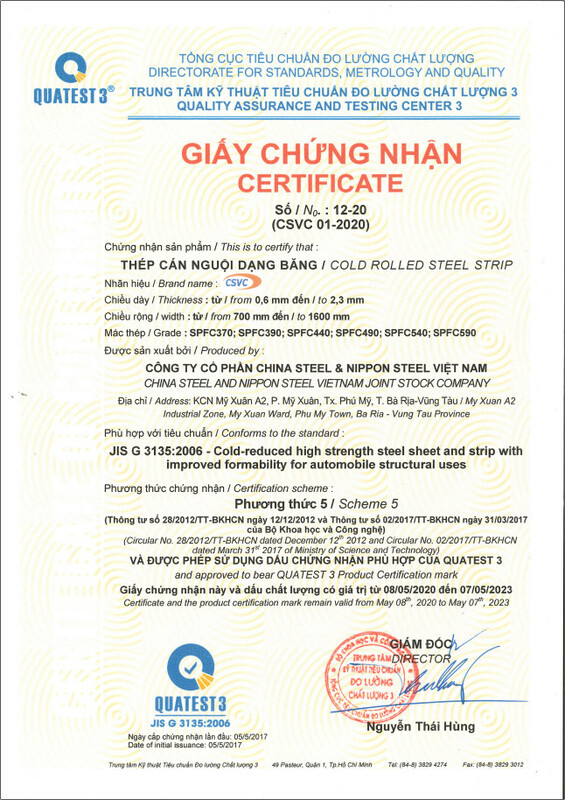 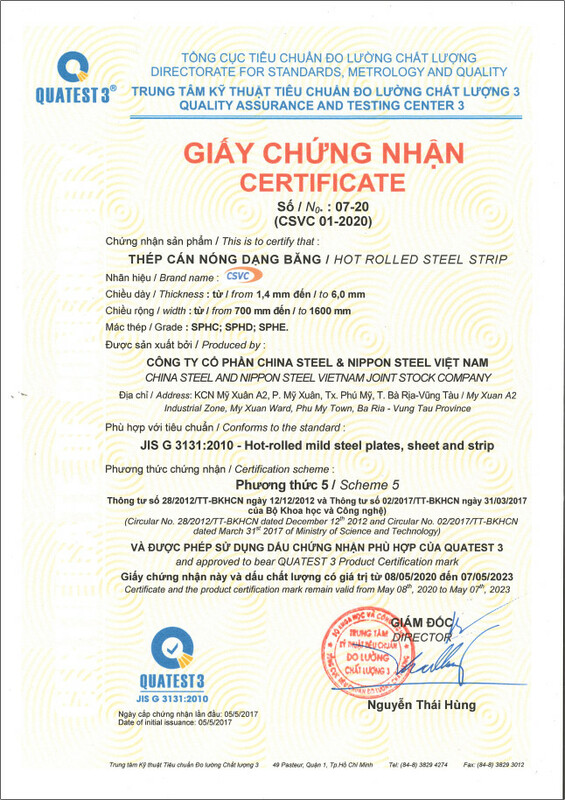 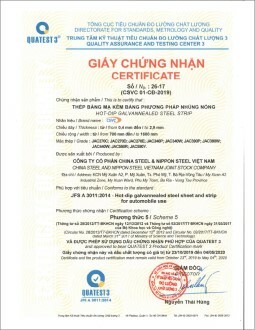 EN standard of hot-dip galvanized steel coil possessing high strength, excellent pressformability, which are widely used in automobile structure parts. 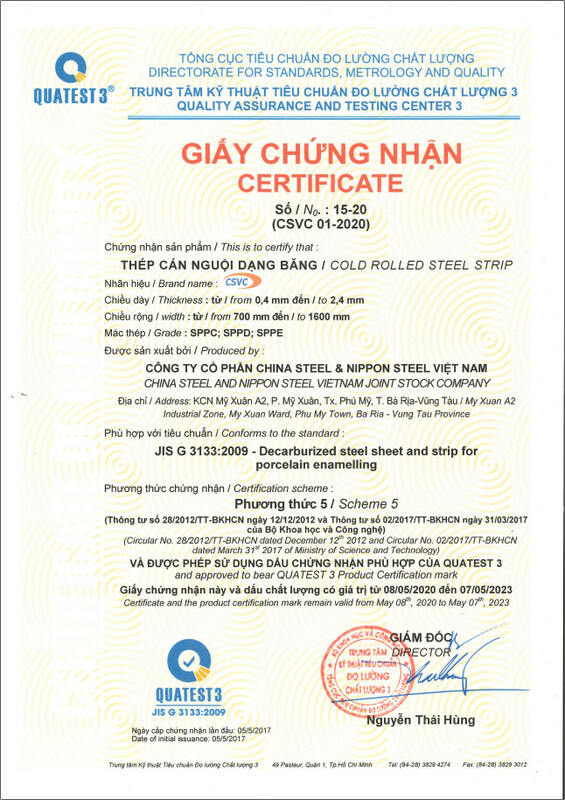 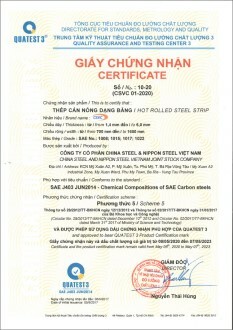 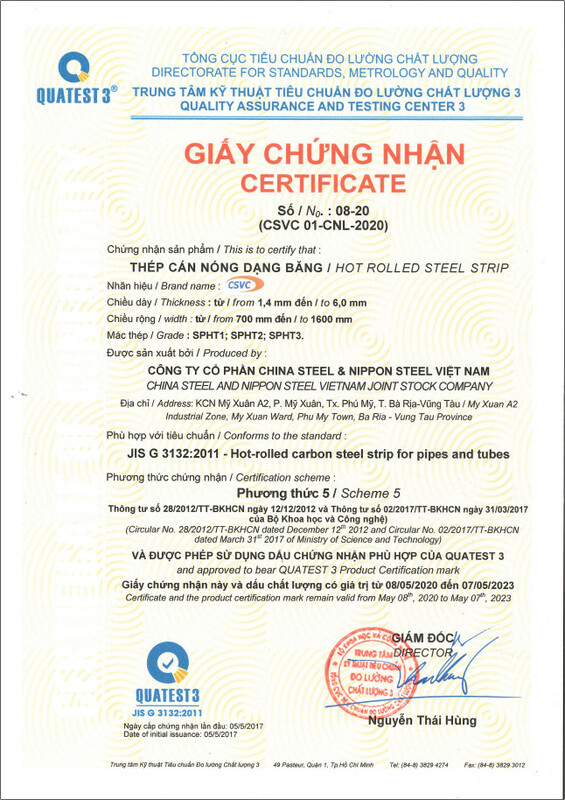 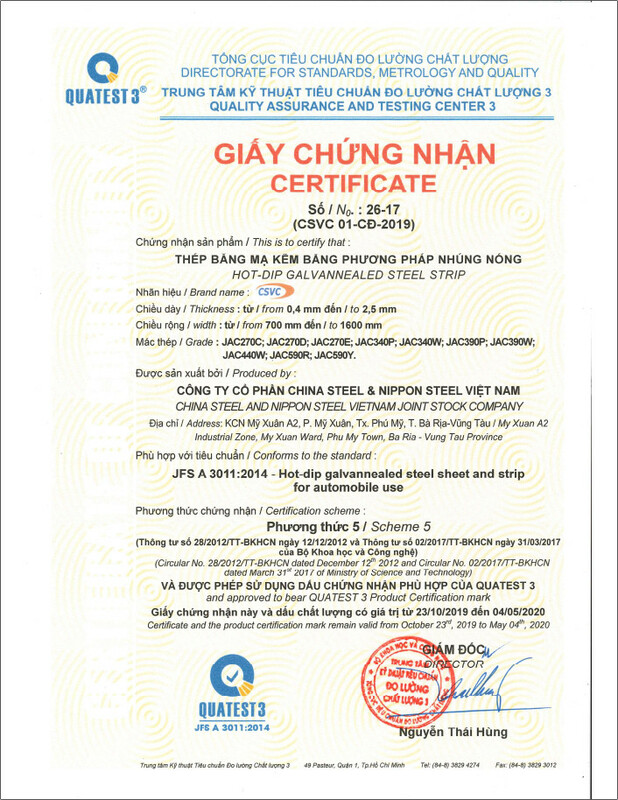 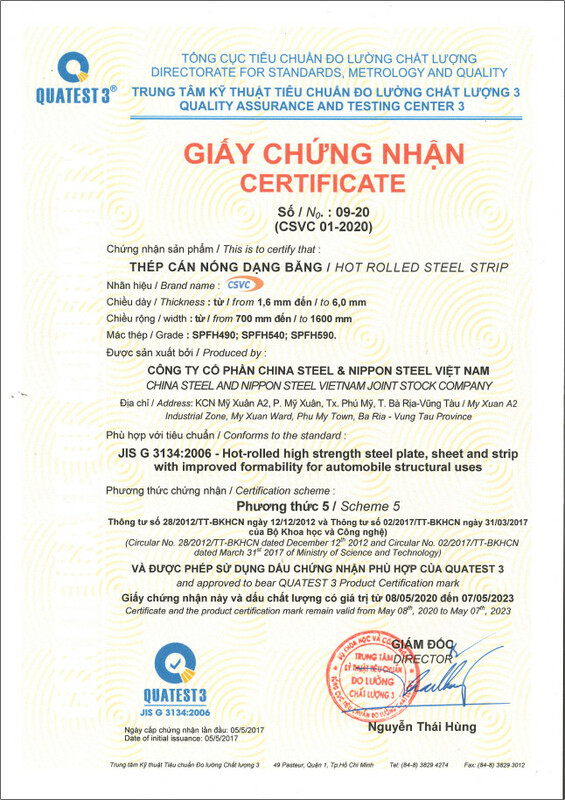 EN standard of hot-dip galvanized micro alloyed steel coils with high strength and low carbon equipvalent (to promote weld-ability). 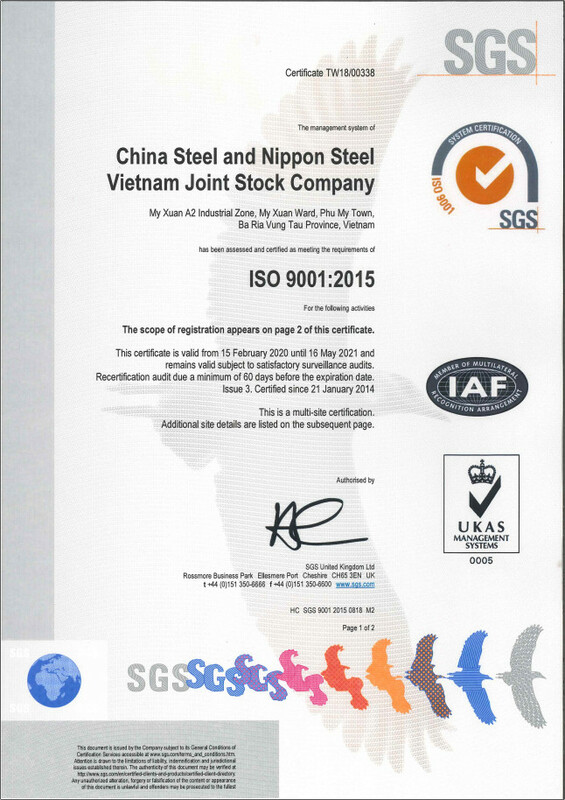 Normal Grade ES with low iron loss, adequate magnetic flux density and economical price such as 50CSV1300, 50CSV1000, 65CSV1300, 65CSV1000. 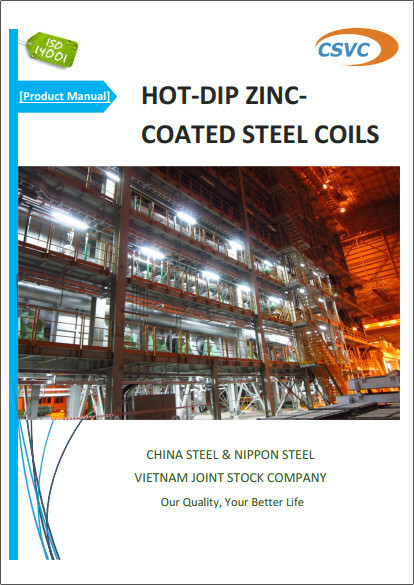 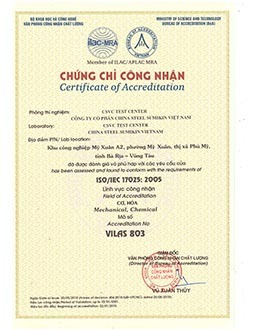 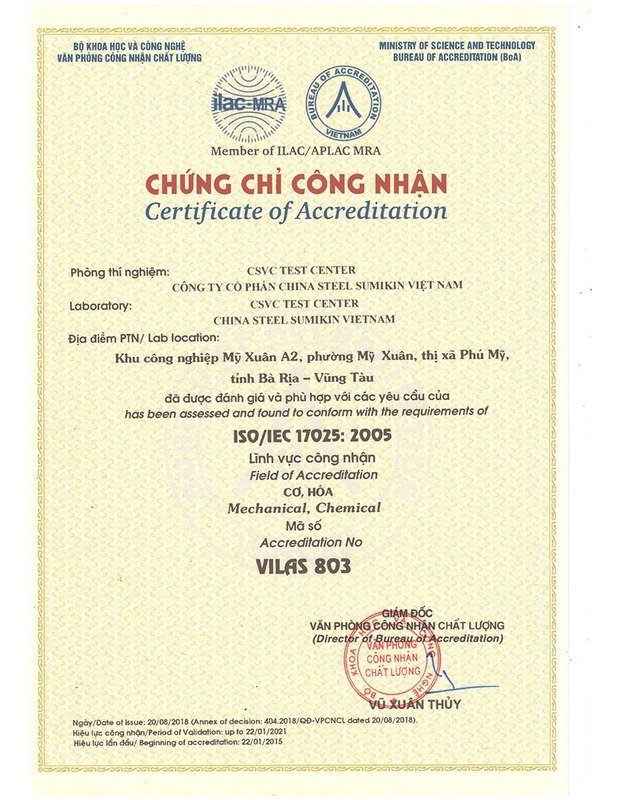 It could be used in various types of motor and transformer. Medium grade ES with improving iron loss, magnetic flux density and surface quatity such as 50CSV800, 50CSV700, 50CSV600, 50CSV600H. 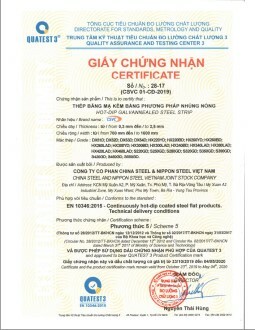 It could be widely used in all kinds of AC motor, compressor and transformers. 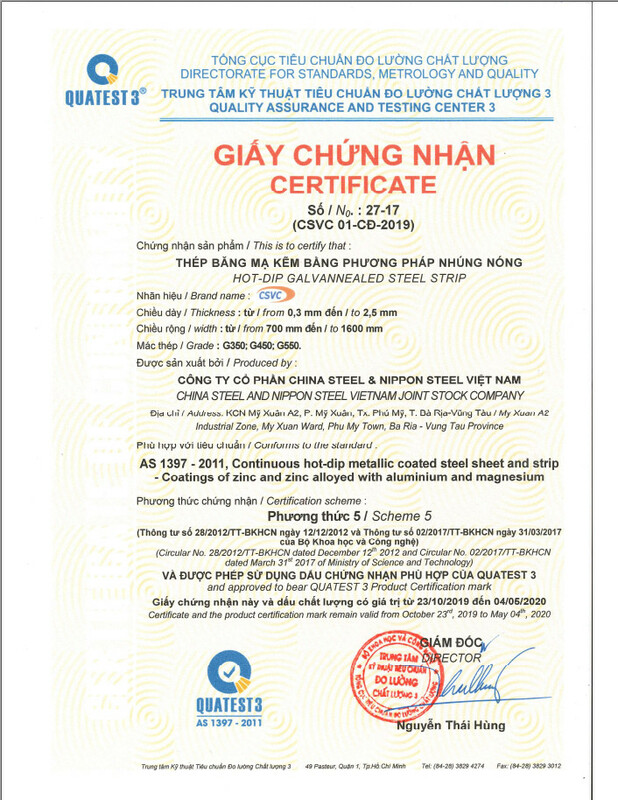 High grade ES with so good iron loss and magnetic flux density such as 50CSV470, 50CSV470H, 35CSV440, 35CSV550. 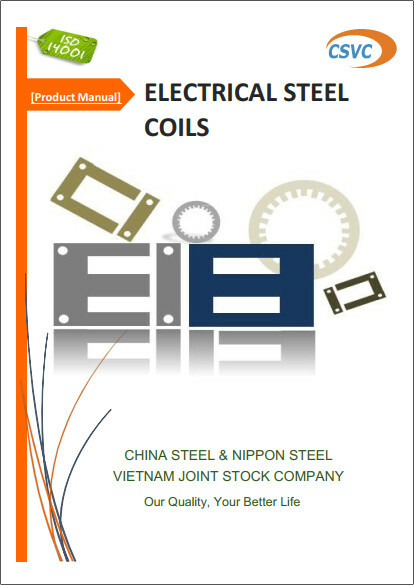 It could be used in special kinds of AC motor, compressor and transformers.